Imphal, Temples, gardens and historical palaces in Imphal, Manipur. This small beautiful city in Eastern India is the capital of Manipur city. It is the city of commerce and revenue yielding city for the state of Manipur. The major population of this place is occupied by a group of tribes known as Meitei tribe. This city which concentrates more on agriculture is rich in its flaura and fauna.Imphal is known for its dance shows for it is the cultural capital of the state. The main tourist attraction in this state involves temples, gardens and historical palaces. 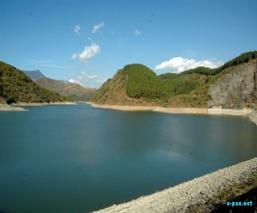 Imphal is situated in two separate valleys of the state namely Central Valley and Jiribam Valley. Imphal was founded in the first century AD. The history of Manipur starts with the invasions of Burma in 900 AD which was settled after a treaty signed by Raja Jai Singh in 1826.After this Manipur became a part of India. But however again there was confusion in the succession of the throne which was settled with the intervention of the British. Only on 21st January 1972 Manipur became a Union Territory. The Nagas occupy the hilly areas of the state whereas the Meiteis occupy the valleys. Ningol Chakouba - This is a festival celebrated in the month of November is mainly a festival for the women. During the festival the married away women along with their children are invited by the parent’s home to reunite and strengthen the bond. Yaoshang - This is a festival which is celebrated for a period of five days in the months of February/March.Yaoshang is dedicated to Lord Krishna and the people celebrate it with full enthusiasm throwing colours and water on one another. In this festival you can also get to witness a moonlight dance where young girls and boys dance together. Christmas - Christmas is another important religious festival celebrated here for major population here are the Nagas who are chrstians.The festival is featured with activities like prayers, reading of gospels, singing of hymns and lectures on Christ. Ramzan - Ramzan celebrated by the Muslims usually falls in the month of September-October. In the month of Ramzan Muslims abstain themselves from smoking and drinking and they fast from dawn to sunset. After the second day of shawwal they break fast which is also popularly known as Id-Ul-Fitre and thus on the day of ramzan they exchange gifts and dishes and invite friends and relatives. Cheiraoba - This is the New Year of Manipur which falls in the month of April. On this day people clean and decorate the houses and prepare delicious food. Then they worship God for their well being and offer the food first to the deity. Then it is a custom among the people to climb the nearby meaning to symbolize they should also come up high in their life. - The main feature of this temple is that it stands on a 1.34m high plinth. This temple was built in 1846 A.D during the reign of Maharaj Nara Singh but however it was destroyed in 1868A.D in an earthquake, after which it was reconstructed again by Maharaj Chandrakirti. Temple of Shri Krishna - The main feature of this temple is that its architecture is more of the Bengal style which was common around 18th century. This temple was built in 1722 A.D. and is mainly attributed to Maharaj garibniwaza. Thangal General Temple - This temple is dedicated to Kangabam Chitananda Singh who was popularly known as Thangal General in the court of Maharaj Kulachandra.In 1891 Manipur was defeated by the British and Thangal General was hung to death by the Anglos. 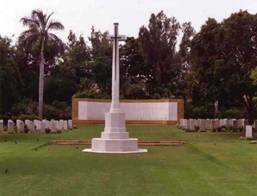 Two well inclined Commonwealth War Graves Cemeteries are situated on the northern and eastern outskirts of the town. Buried here are the soldiers of Manipur who died fighting the Japanese during the invasion of Manipur in World War II. This museum is very easily accessed from the town and it is a store house of a rich cultural heritage. The museum is also housed with regional costumes; war implements, historical documents and relics, and offer a glimpse of the state's glorious past. Manipur Zoological Garden is mainly known worldwide for it has a rare species of deer, namely brow-antlered thamin deer, along with birds, animals and reptiles. It is at a distance of about 8 km from Imphal and it is surrounded with small hillocks on all sides which is rich in pine trees. This is one of the most visited tourist sport in Imphal for it has a beautiful orchidarium exhibiting rare and wide varieties of orchids. It is a breathtaking place when you visit the Khonghampat Orchidarium at the time of full bloom which happens in the month of April to May. This orchidarium is located at a distance of about 12 km from the town. 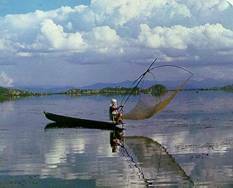 The main feature of this lake is the floating islands and the Brow Antlered deer.Loktak lake is known for its view which is adorned by beautiful natural serene and picturesque just at a distance of 48 kms away from Imphal. Moirand located at a distance of about 45 kms from Imphal is known for the festival 'Lai harouba' which falls in the month of May. 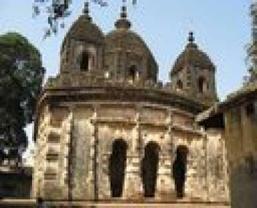 This is a historical and religious place for the Meitei Hindus living in Manipur for they believe that the sacred idol of Shree Shree Govindaji was sculptured from the parts of a jackfruit tree cut from Kaina.Kaina is located at a distance of about 35Kms away from Imphal in Thoubal district. Red Hill is known for the battle which took place between the Allied Forces and the Japanese Forces in World War II,after which the Japanese war veterans constructed a monument at the foot of this hill and it was significantly named” India Peace Memorial”. This hillock is located at a distance about 17kms away from Imphal. The most prominent feature of the mound is the 6 well demarked burial areas in village Sekta which is located at a distance of about 18kms from the town. The state archaeology was able to isolate only one burial mound. The total area under protection is 0.35 acre. The excavation at the Sekta burial site revealed important informations of the burial customs of the Sekta people and their social and economic life. This has helped archaeologist and historians to reassess the historical process of the people of Manipur. Singda is a picnic spot located at a distance of about 16kms away from Imphal at an altitude of 921mts.This place is known for its health resorts situated on the hillocks which overlook the Manipur Valley.Singda is become very famous even after construction of Singda Dam at Kangchup. This place is famous for the conical temple of lord Vishnu which was built in 1467 located at a distance of about 27kms away from Imphal in Bishnupur.The main feature of the temple is its antiquity and architectural design which was influenced by Chinese style. Bishnupur is also known for its stoneware production. Khwairamband, located in the city centre is known for its hand-woven shawls to skirts, handicraft goods, vessels, fabrics, accessories, which include jewelry and shoes primarily. The other most important feature is that it is a bazaar run exclusively by women. Manipur Handlooms & Handicrafts Development Corporation Ltd in Paona Bazaar - Handloom and handicraft items. Kangla Emporium and the Eastern Handlooms & Handicrafts - Textiles The Moreh Market, India-Myanmar border - imported goods and local products. Other famous item which can be shopped here includes exotic shawls like Hauphee, the Tangkhul scarf, the most popular Moirangphee and Manipuri Dolls. Imphal Tulihal Airport is located about 8km from the heart of the City and it caters flight services from major cities of India namely Delhi, Kolkata, Guwahati,Aizawl, Silchar, Dimapur.The service providers include Air India, Indigo, King Fisher, Jet Airways, Jet Lite, Spice Jet, Air Deccan etc. Nagaland and Manipur State buses operate from the towns of Aizwal, Dimapur, Itanagar, Kohima, Imphal Shillong and Agartala. Though there is no direct service from Imphal the nearest railhead to Imphal is the Dimapur railway station which is located at a distance of 215 km and is near Manipur. It will take about 8 hour’s journey to reach Imphal from Dimapur by bus or taxi.